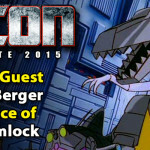 We are happy to welcome the voice of Generation 1 Grimlock Gregg Berger to TFcon Charlotte. He also voiced Skyfire (Jetfire), Long Haul and Outback in the same series. He returned to the character of Grimlock for the Fall of Cybertron video game as well as the upcoming Transformers: Devastation. Gregg will be taking part in Q&A panels and autograph sessions with the attendees of the world’s largest fan-run Transformers convention all weekend long. We are very happy to welcome Transformers voice actor Garry Chalk to TFcon Charlotte 2015. The voice of Optimus Primal in Beast Wars and Beast Machines and Optimus Prime in the Armada, Energon and Cybertron cartoons, he also voiced Generation 1 Megatron in an episode of Beast Wars. Additionally he is known to GIJOE fans as the voices of Pathfinder and Metalhead in G.I. Joe: A Real American Hero, and He-Fans as the voices He-Man in The New Adventures of He-Man, and Man-at-Arms in the 2002 He-Man and the Masters of the Universe. Mr. Chalk will be taking part in Q&A panels and autograph sessions with the attendees of the world’s largest fan-run Transformers convention all weekend long. UPDATE: Garry Chalk is no longer able to attend due to a work conflict. 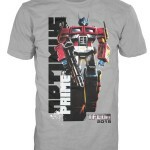 Check out our officially licensed ‪TFcon 2015 T-shirt that will be available in both Toronto and Charlotte this year. Preorders are already online. If you have already registered for the convention, you can easily add this to your existing order via our on-line registration system. 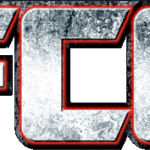 Dealer registration is now available for TFcon Charlotte 2015. For those of you that were looking to sell at America’s largest fan-run Transformers convention now is the time to book, you can contact us now to reserve your space. Exhibitors from TFcon Chicago 2014 will automatically receive registration info emailed to them. Registration for attendees will be available in the near future. TFcon is proud to establish a special convention airfare discount with United Airlines. Enter promotion code ZUT8325293 at United.com in the Offer Code box to save between 2% and 15% depending on fare class and city of origin. The travel period begins Oct 11, 2015 and ends Oct 24, 2015 for all travel in United’s network to Charlotte airports. We respectfully request you to leave the promotion code in even if the code does not impact your pricing so we can see the flight traffic to help us to plan better and get higher discounts for future years. TFcon, along with Andromeda Consultants, is proud to establish a special car rental discount with Hertz Rent-a-Car. Enter discount code 1757580 on Hertz.com in the Discount/CDP/Club Code field to save between 25 and 50% depending on vehicle class. This discount will work anywhere in North America including Charlotte CLT airport. Anyone may use this code. We respectfully request you to enter the promotion code in even if the code does not impact your pricing so we can see the rental traffic to help us to plan better and get higher discounts for future years. The group rate is good for October 11th to October 22th, 2015 at the price of $149 per room. Save the dates! In cooperation with the former staff of Charticon, TFcon USA – America’s largest fan-run Transformers convention comes to Charlotte, North Carolina the weekend of October 16th to 18th, 2015. TFcon Charlotte will take place at the Embassy Suites Charlotte Concord. Discounted hotel block information will be available shortly. Dealer bookings and registration information will also be available in the very near future. TFcon is proud to announce pop culture icon Peter Cullen, best known to the world as the voice of Optimus Prime, as a guest at this years convention in Toronto. The event will be held from July 17th to 19th at the Delta Meadowvale Hotel and Conference Centre in Mississauga, Ontario. TFcon Toronto is Canada’s annual Transformers collectors’ convention, and is the largest fan-run Transformers convention in the world. Transformers fans young and old from across the globe will be able to feast their eyes on a wide selection of Transformers collectibles and artwork, hear from an array of speakers and enter the TFcon costume contest. Mr. Cullen will be appearing Saturday July 18th, with tickets available in the upcoming weeks. Save the dates! 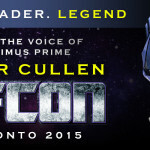 TFcon Toronto – The world’s largest fan-run Transformers convention will take place July 17th to 19th, 2015. TFcon Toronto will return to the Delta Meadowvale Hotel and Conference Centre next summer. You can book your discounted hotel room via this link.